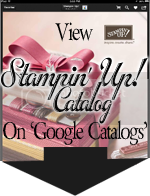 Want over $600 in Stampin’ Up! 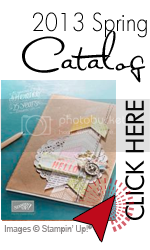 Product for just $99 – My Digital Studio 2 is here (MDS2) ALONG with a Digital SALE from Stampin’ uP! Do I have your attention!!! Sound too good to be true...but it's not. I am going to show you how to take advantage of this AMAZING Deal. I have shared a couple of MDS2 projects with you...check out the two videos below, for a sampling of what you can do with this program...and if those aren't enough visit http://mydigitalstudio.net/video for even more great tutorials. Here is how you can make this happen. Join my team today for $99 and you can get the Full MDS2 program with $500 in digital content - then ADD a selection of sale digital items or Digital content from either the holiday mini or full catalog, selecting a total of $125 in merchandise for just $99 and you are off and running with a great Digital product and if you choose, a business, or simply a great deal!!! With all that you can get for $99 you will have what you need to create amazing holiday cards, decor items, party ensembles and gifts!! How’s that for an economical Holiday Season????!!! *Those joining in August also get this great Artist Tray from Stampin’ UP! Real Value – Priceless as you open the doors to Creativity and Opportunity! #1 – Simply purchase the MDS upgrade for $19.95 and you will have all the new and amazing features of MDS2. #2 – Check out the list of downloads included with MDS2 – you may find the $79.95 disc to be a great deal if you DO not already own the $500 in downloads included on the disc. WHAT Downloads are on sale?? 3. How will I know how to use all the great new features of MDS2? I will be here to answer your questions, and as I become more proficient, I will be posting tutorials. If you live locally we can meet one on one. Those further away we can work together over the internet. Let me help you add DIGITAL Creating to your Craft Tool Box.